Brand New in the package Army Surplus, buy them online elsewhere from $69 or buy a pair of Glenn's for $39.95! 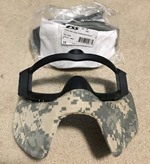 NSN#4240-01-604-2788 Multicam sleeve, tan goggle, Eye drops are pictured but ARE NOT INCLUDED, everything else is. New in manuf. packaging. Wow! What a deal. These are pretty darn 'Near New' but have at least been issued, maybe worn? Look at the pictures and decide for yourself. 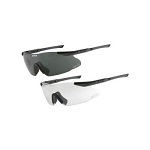 If you are not happy we will pay for your return of the (maybe) used VERY excellent condition Oakley SI! Glenn's Army Surplus is closing out the foliage green so new low price! 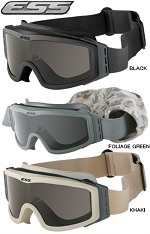 Revision Tan 499 Desert Locust Goggle with MULTICAM Sleeve and case and tan goggles! The all black Locusts are hard to find, Glenn purchased just a few.